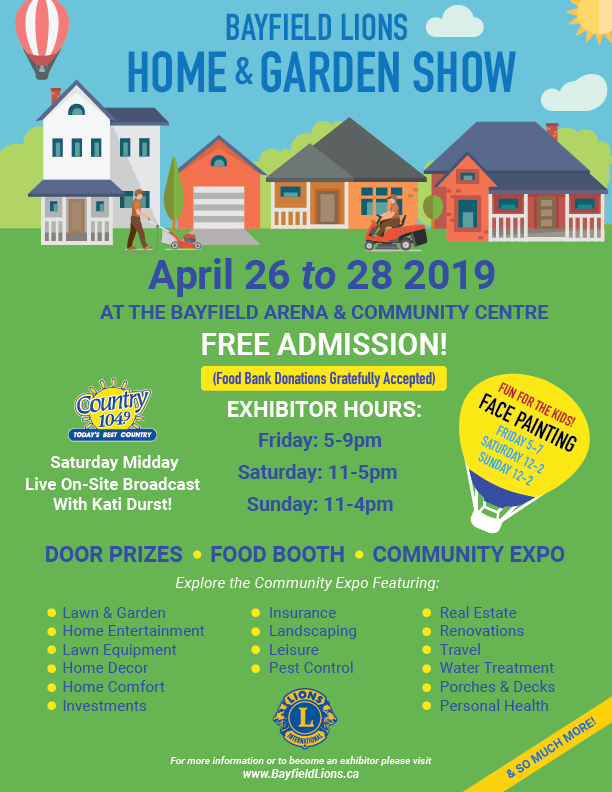 Join the Bayfield Lions at the Bayfield Arena for the 22nd annual Home & Garden Show. Admission is FREE! Food donations gratefully accepted! For more information on the event, follow our event page here.